Olympus flagship mirrorless camera gets big price drop – and you get a bonus lens and grip too!! 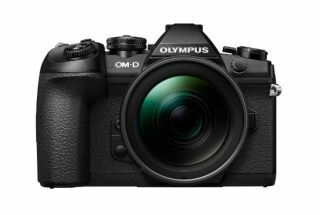 In our continued hunt for the best Cyber Monday camera deals, we have got rather excited by this offering from Wex Photo on the Olympus OM-D E-M1 Mark II with its kit lens. Not only has this UK retailer sliced a chunky £150 off the price overnight to make this the best price we have EVER seen this camera at in the UK. But they are also throwing some great bonus goodies into the deal if you buy today - an Olympus 30mm f/3.5 macro prime, and a battery grip - which have a combined value of £478. You pay £1999 for all this today - but then can apply for £175 of cashback direct from Olympus, to bring the effective price you pay for this mega bundle to £1824. That is what we call a standout deal. With its weather-sealed body, excellent image quality and a high degree of physical control and customisation, Olympus's first E-M1 was a smash. And with this, the follow up, the company ramped things up across the board. With video boosted to 4K quality, a revamped AF system and some of the most effective image stabilisation we've seen yet, the camera is a considerable upgrade over an already loved model.